Magandang araw po. Usapang kasal naman tayo ngayon para romantiko simula ng bagong taon sa blog na ito. Kung kayo po ay matagal na nagbabasa na ng blog na ito, marahil ay napansin niyo na akma namin rito sa Intentional Lacunae na ipaliwanag ang batas sa karaniwang wika at sa ‘kolokyal’ na pamamaraan dahil naniniwala kaming ang Batas ay para sa Lahat. Hindi lang sa mga English-Spokening na mga impakto. In this property regime, the husband and the wife are co-owners of all properties they bring into the marriage (those that they owned before the marriage), as well as the properties acquired during the marriage, except for certain properties express excluded by law. This property regime is governed primarily by the provisions of the Family Code and supplemented by the Rules on Co-ownership. ACP is the DEFAULT property regime – meaning, if the spouses do not agree on a particular property regime, otomatik; ACP na ang mga pagmamay-ari ng mag-asawa. Unlike the ACP, CPG involves a property regime where the husband and the wife place their properties in a common fund the proceeds, fruits, and the income from their separate properties as well as those acquired through chance (para sa mga sugalero) and through their efforts. All properties owned at the time of marriage become COMMUNITY PROPERTY – that is, co-owned by the spouses. This includes property of each spouse before the marriage na dinala niya sa kasal ay co-owned na rin ni mister o misis. Each spouse retains his/her property before the marriage. Only the FRUITS and the INCOME of the separate properties of the husband and the wife during the marriage become part of the Conjugal Partnership of Gains. Kapag HIWALAYAN NA: what is divided equally between the spouses or their heirs upon the dissolution and liquidation of the community property is the net remainder of the properties of the absolute community. Kung kaya kung may lupa ka, kinasal ka, ACP ang property regime mo: magiging co-owner niyan si mister/misis at humanda ka dahil hahatiin yan sa inyo. Kapag HIWALAYAN na: Simple lang po. 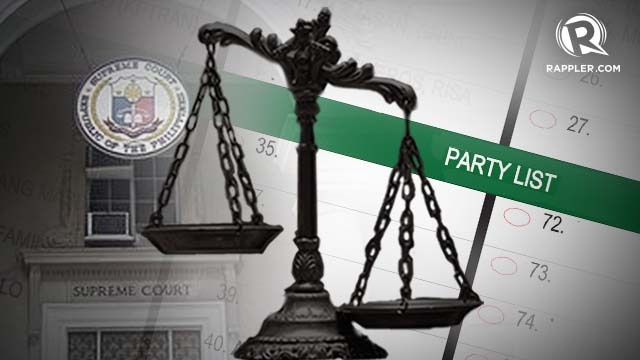 Dahil FRUITS at INCOME lang naman ng separate property ang nagiging bahagi ng Conjugal Partnership, e de the separate properties of the spouses are returned upon the dissolution of the partnership, and only the net profits of partnership are divided equally between the spouses or their heirs. Makukuha mo ang sayo; pero yung KINITA nun ang HAHATIIN sa pagitan niyong mag-asawa. DEFAULT ito. Hindi na kailangan pagkasunduan pa na Absolute Community of Property ang nararapat na Property Regime niyong mag-asawa. Kapag wala kayong dinesignate o pinag-usapan, ACP na ang property regime niyo. HINDI ITO DEFAULT. Ibig sabihin, kailangan niyo itong pagkasunduan. Kapag hindi pinagka-sunduan bago ang kasal, hindi ito ang magiging property regime niyo. Mas madali ito i-liquidiate. Mas mahirap i-liquidate kasi may kwentahan pa na kasama. The partnership has a juridical personality separate and distinct from that of each of the partners, even in case of failure to comply with the requirements of article 1772, first paragraph. Here’s a good way to illustrate how it works: Did you watch DragonBall Z as a kid? Silim and Mangubat donated a parcel of land in favor of the Bureau of Public Schools, Municipality of Malangas, Zamboanga Del Sur, on the condition that said land shall be used exclusively and forever for educational purposes. However, as the said parcel of land was too small for the construction of the planned Bagong Lipunan School Building, the Province of Zamboanga, through its division superintendent, executed a deed of exchange in favor of a new and suitable location. Consequently, whatever was built on the donated lot was dismantled and transferred to the new fitting location. The issue arose when the donators found out that Vice-Mayor Wilfredo Palma took the land for himself and constructed his house thereon. Silim and Mangubat sought to have the donation declared null and void on the ground that the condition of the donation was violated. ISSUE: Whether or not the donation was valid in view of the fact that the school, which it was conditioned on, was never built thereon. RULING: YES. The Court upheld the validity of the donation. Firstly, it ruled that there was a valid acceptance in accordance with Arts. 745 and 749 of the Civil Code: it was made personally or through an agent, and it was made in a public document. Anent the second contention concerning the non-fulfillment of the consideration, the Court ruled that contrary to Silim and Mangubat’s argument, the parcel of land was used precisely for school purposes. The exchange of the donated lot for a bigger lot was done in pursuance with the condition that they (Silim and Mangubat) imposed. Remember: the lot was exchanged with a bigger lot to give way for the construction of Bagong Lipunan Elementary School and for no other reason. The exclusivity of the purpose was not altered or affected. In fact, the exchange of the lot for a much bigger one was in furtherance and enhancement of the purpose of the donation. The acquisition of the bigger lot paved the way for the release of funds for the construction of Bagong Lipunan school building which could not be accommodated by the limited area of the donated lot. Can the Commission on Appointments Refuse an Appointment? The chairman and the commissioners shall be appointed by the president with the consent of the commission on appointments for a term of seven years without reappointment. This provision on the appointment of the members of the COMELEC is Just ONE of the Constitutional provisions that provide for Commission on appointment’s function of giving its consent to the president’s exercise of his appointing power. The question therefore is: what happens when the commission on appointment does not not give its consent? Or rather, can the commission on appointment refuse an appointment by the president? Dear reader, I am tired. Tired of reading about petty issues all over the news. At first I was thankful that I was no longer seeing any news about Charice Pempengco on my newsfeed. But lo and behold! More petty reports masquerading as “pertinent issues plaguing the system”. I suppose you already know, dear reader, that Comic Artist Pol Medina Jr. Had found himself in quite a pickle just a few weeks ago after the Philippine Daily Inquirer “mistakenly” published a comic strip wherein he called the Catholic Church a bunch of hypocrites, and to prove his point he blatantly named St, Scholasticala as one of those institutions that condemn homosexuality yet has a thriving population of gorgeous mermaids (a gay slang for lesbians). So he was pressured into resignation by the PDI, and he wrote them a letter of apology. Immediately, people saw this as an issue of religion and freedom of speech. As a matter of fact, Rappler has published this lovely little article elucidating on how art is a tool for attaining human liberation, blah blah, etc. etc. This just in: the Supreme Court recently ruled on Friday, April 5, that the party list is not only for the marginalized sectors, debunking an argument that the Commission on Elections (Comelec) used in disqualifying 54 party-list groups for the May 13 elections (Rappler). National parties or organizations and regional parties or organizations do not need to organize along sectoral lines and do not need to represent ‘any marginalized and underrepresented’ sector,” the High Court said in a decision penned by Justice Antonio Carpio. The ruling in the new case is a new masterpiece of the chopchop strategy so effectively employed by the Supreme Court since ARTURO DE CASTRO v. JBC and ARROYO. Who Says We’ve Abandoned our Claims to Sabah? Once again, our dear President has gratuitously displayed his gross ignorance of the law by declaring to the world that Sabah is not ours — by his words and by his deeds. But oh — lookie here, the ponente is former Chief Justice Renato Corona. PERHAPS IF YOU HAD KEPT HIM AROUND or actually BOTHERED to read the intelligent rulings of the Supreme Court under him, then you would not have been completely ignorant regarding the Sabah Issue. Better yet, what kind of a leader lets his constituents die in the hands of a foreign enemy? A continuing crime is a crime whose elements are committed in different localities, such that the accused may be charged in any place where an element of the crime is committed. Subversion and rebellion are anchored on an ideological base which compels the repetition of the same acts of lawlessness and violence until the overriding objective of overthrowing organized government is attained. But rebellion and coup d’etat are completely different crimes. True, a coup d’etat is usually undertaken through rebellious means, but their aims are completely different. Yesterday, November 30, was Andres Bonifacio Day. The tragic life of the young hero should inspire the youth of today to dedicate their lives to end human oppression and fight for the true liberation of the Philippines. Alas! 300 years in a convent and 50 years in Hollywood have taught the Filipinos how to forget and how to pick at their own scabs. We bleed, but remain unmindful of the pain. We are blind to our suffering and we rise up in virtual protest only when some actor/actress berates the color of our skin. Today, dear inquisitive reader, I intend to make you suffer through a lengthy discussion of Batas Pambansa 880. So sit back, relax, and enjoy my verbal diarrhea. Pa-pogian ng mga lalaking makasaysayan. Imperyalismo, ibagsak! Pyudalismo, ibagsak! Burukrata-kapitalismo, ibagsak!